The perfect cup to use in a washroom, it's durable and easy to clean. 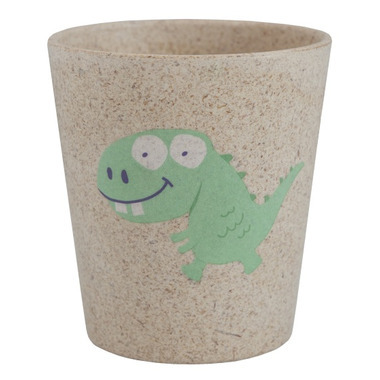 We love how it's made with safe materials plus our little guy loves rinsing with his dino cup! My son LOVES his dino cup ! He uses it to rince his mouth after brushing his teeth. It is adorable and I am glad I purchased it.